Subsidiary company of KBE International group, KBE Elektrotechnik S.C.S. is an Off-shore company which produces drawn copper wires, copper strands and electric cables mainly for the automotive industry and electric household appliances. 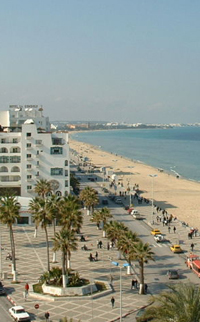 KBE (Sousse, Tunisia) forms with KBE (Berlin) and DLB (Berlin) a medium-sized corporate group. Set up in Tunisia since 1995, KBE witnessed a remarkable evolution which enabled it to rank the "Success Stories" of the Off-shore companies working in the electric field.